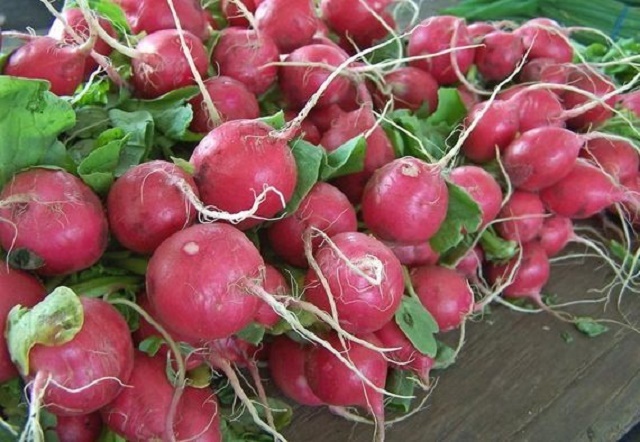 You can't beat the fresh, crisp taste and texture of home grown radishes, and as they are so easy to grow from seed why would you ever settle for lower quality, shop bought produce? Of course, those that have grown radish before will already know that as a member of the mustard family germinating radish seed isn't the issue. The trick to a perfect radish crop is the timing of production, the density of the crop and of course harvesting them at correct time. Always remember that overcrowded seedlings will produce foliage at the cost of root growth. 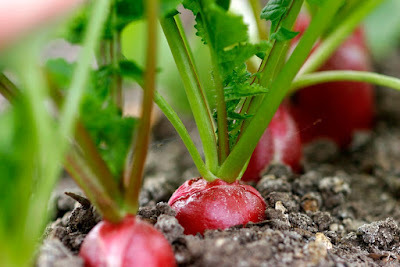 Choosing the right time to harvest radishes is critical. Lift them too soon and the bulbous roots would not have formed to their full potential. Lift them too late and they will lose their crispness becoming increasingly spongy and hot to the point of being unpalatable. For spring sown cultivars the rule of thumb is to harvest them as soon as they are of a usable size, which is usually before the root has grown to no more than one inch in diameter. Keep an eye on the date they are sown as they will be ready for lifting between 20 and 30 days - depending on the weather and cultivar. Late summer sown cultivars are a little different as they are slower to develop meaning that they can be left in the ground for longer, usually between 50 and 60 days from sowing. Furthermore, these late season crops tend to grow larger than the earlier varieties without becoming spongy and hot. This means that they can be a little larger than one inch in diameter before they are lifted. WHEN DO YOU HARVEST BROCCOLI?